Nuclear Energy for Dummies - The Chip's Challenge Wiki - The Chip's Challenge Database that anyone can edit! WARNING: If any systems become unstable, a total nuclear meltdown will occur. 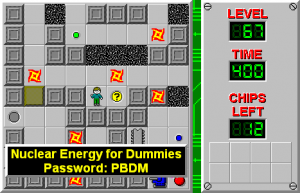 Nuclear Energy for Dummies is the 67th level in Chip's Challenge Level Pack 4. It was created by Trevor Hedges. 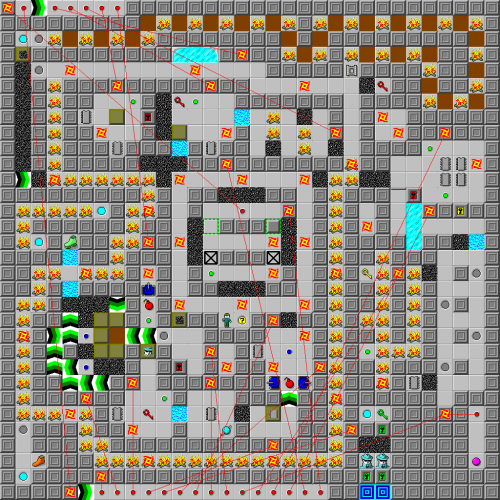 Originally, the level was titled "Nuclear Energy for Dummies and Smarties"; but since there was no good reason to keep such a long title, it was shortened for CCLP4.